The portions donated to schools vary by vendor; Team Barzaga will donate one percent of its commissions for business generated or referred by school staff. Mirtha also provides support to Nease High School’s band and ROTC program. 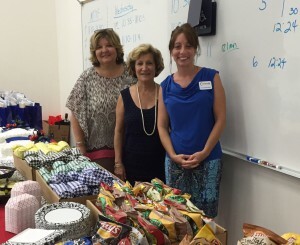 To announce the program, Mirtha recently hosted a series of three luncheons at each school. Teachers and faculty attended the events, including principals. The largest luncheon event was at Nease, which welcomed about 150 attendees. For more information, contact Mirtha at (904) 501-1830 or mbarzaga@davidsonrealtyinc.com.